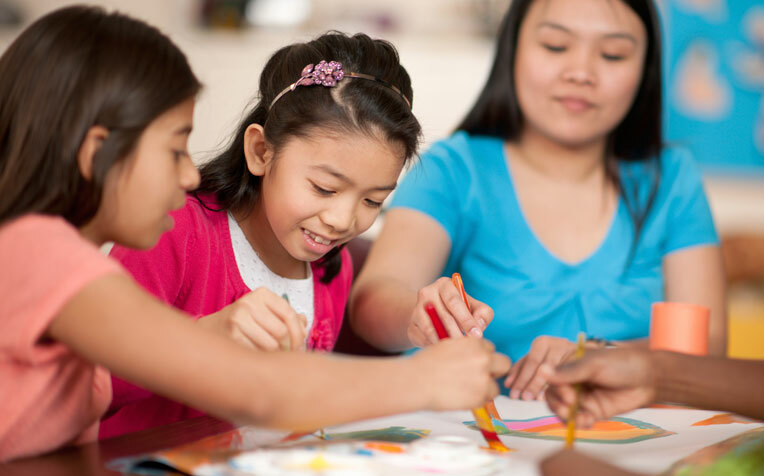 According to the Department of Rehabilitation at KK Women's and Children's Hospital (KKH), art therapy is a useful way of helping children cope with emotional setbacks. is available for children at KK Women's and Children's Hospital. Art therapy is growing in popularity as a tool to help patients strengthen their resilience and cope with injury or illness. It has also been found to help in expressing emotions and dealing with anxiety after major surgery or long-term hospitalisation. Art therapy is now available for children in Singapore at KK Women’s and Children’s Hospital (KKH). “Children who are long-term inpatients or who suffer from chronic or terminal illnesses often experience significant emotional setbacks and concerns about self-image and self-esteem. Art therapy can help these patients explore, express, understand and manage their inner feelings and emotions better,” says Ms Pearlyn Lee, Art Therapist, Rehabilitation Department, KKH, a member of the SingHealth group. Ms Lee is leading the hospital’s new art therapy for children programme. The art therapy programme is currently available for children who are inpatients. The art therapist works closely with the attending physician and other members of a multidisciplinary team for the emotional and physical recovery of the child. “The sky is the limit with children’s imagination, so patients are usually given permission to decide on the type of art activity they would like to engage in, based on the theme of the session,” says Ms Lee. The art therapy sessions are usually conducted in a one-on-one setting at the patient’s bedside. At the outset, the therapist explains how art can be a form of expression and a way of understanding yourself. The child is provided art materials and a theme and guided into thinking about the difficulties they may be facing and their strengths and coping skills. Creating superhero masks: This allows the child to design superheroes while exploring their strengths and weaknesses. Through the activity the child can explore how these superhero qualities may relate to himself and his situation, and how they can help him with his difficulties. Expressing pain through shapes/colour: Children are at times asked to represent difficult feelings such as pain in images, which allows them to make intangible experiences tangible. “There was an instance when a patient had drawn an image in which the ‘pain’, represented by a bright red triangle, was guarded by trees and not allowed to escape. This demonstrated the child's attempt to make sense of the painful experience, and at finding ways to prevent the pain from causing her further discomfort,” says Ms Lee. “Creating an image of their experiences allows children to gain control over their situation and to find resolutions to a variety of challenges in a creative and non-threatening manner,” she adds. Studies on chronically ill children have found art therapy to be highly beneficial in addressing emotions such as anxiety and psychological distress from illness and hospitalisation. Art therapy has been found to improve coping ability in these children as well as their quality of life. KKH’s art therapy programme has been made possible with support and funding from The Red Pencil Humanitarian Mission Singapore, which has pledged to support the programme for at least two years.